These Bacon-Wrapped Venison Jalapeño Poppers are super tasty, and perfect for a low carb or keto lifestyle! Fresh jalapeños are stuffed with seasoned venison, spiced up cream cheese, and melty Monterrey Jack, then they’re wrapped in bacon and cooked until crispy. Line a large sheet pan with parchment paper. Set lined pan aside. In a skillet over medium-high heat, add the ground venison, 1 teaspoon granulated garlic, black pepper, salt, paprika and Worcestershire sauce. Cook until venison is browned; set aside to cool. In a mixing bowl, combine cream cheese, sliced onion, onion powder, remaining garlic and the shredded cheese. Mix until thoroughly combined. Add cooled venison to mixture. 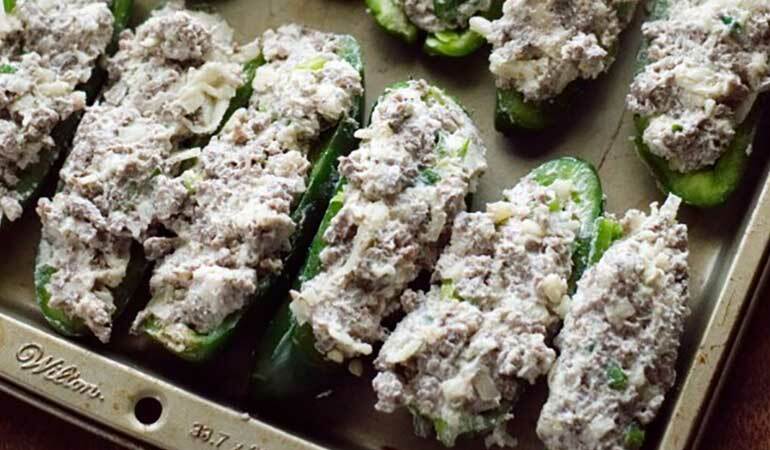 To assemble the jalapeños, take one of the jalapeño halves and stuff it with about a tablespoon of cream cheese filling. The amount of filling you use will depend on the size of your jalapeños. 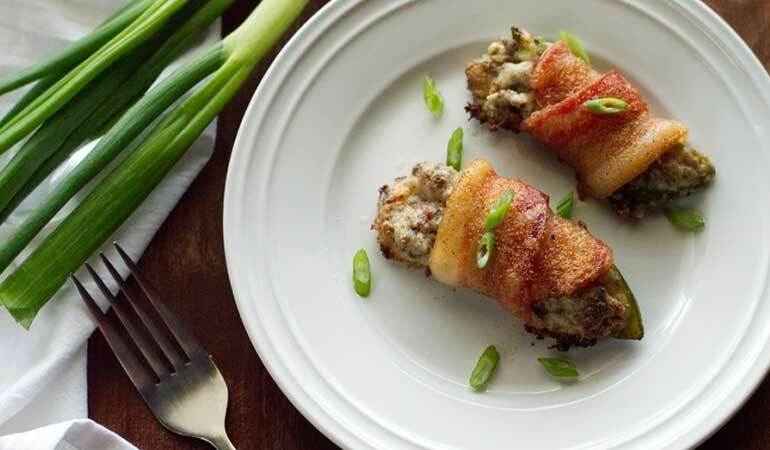 Starting at the end, wrap each stuffed jalapeño half with a slice of bacon. If you have smaller jalapeños you can use a half a piece of bacon or trim the bacon as necessary. You don’t want the bacon to overlap too much or it won’t crisp up! Repeat until all the jalapeño halves are stuffed and wrapped. Place the venison poppers on the lined sheet pan and bake at 425 degrees for 20-25 minutes, or until the bacon is golden brown and crispy. Serve warm or at room temperature. For more venison recipes from Emilie Bailey, visit texasgranolagirl.com.